Hi there! 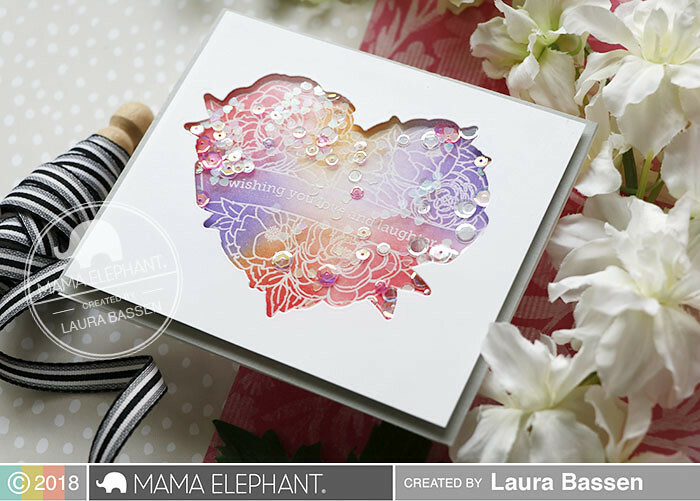 Laura here and today I have a fun project to share featuring the Heart in Bloom set. 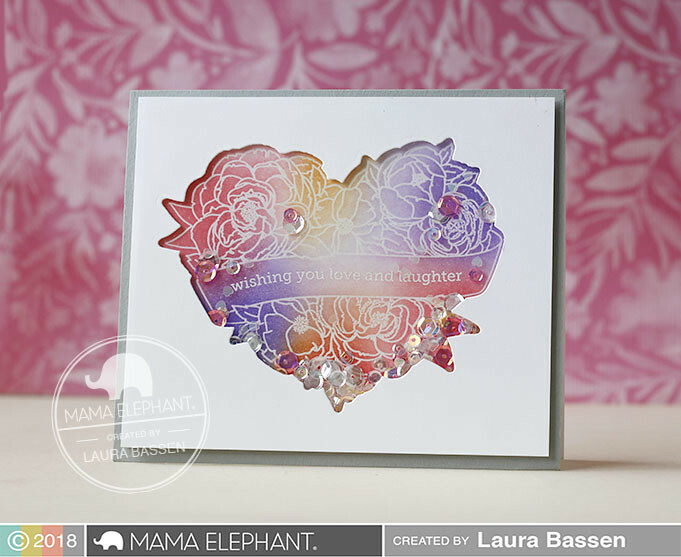 To begin I embossed the large heart image from Heart in Bloom in clear and blended distress inks for the color. I created a shaker card by using the Heart in Bloom-Creative Cuts to die cut a window opening, backing it with acetate and filling with sequins & confetti. For some fun on the inside of the card I used the Inside Pop-Box of Fun-Creative Cuts. 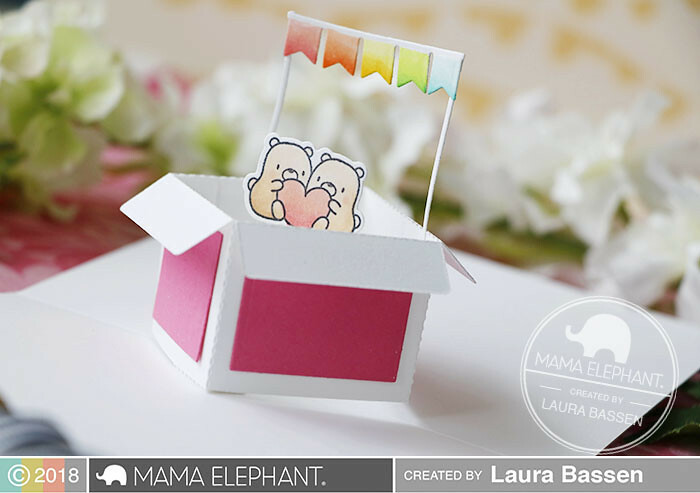 I added a sweet image from the Little Bear Agenda set to pop up inside the box. Wouldn't this be the cutest little wedding or engagement card? Wishing YOU love & laughter today! Thanks so much for stopping by! Fabulous cards! 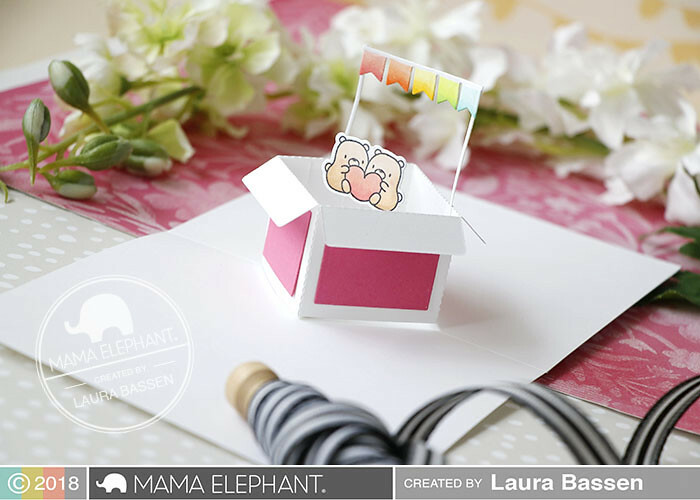 I love the gorgeous Heart in Bloom design, and the fun Inside Pop Box! 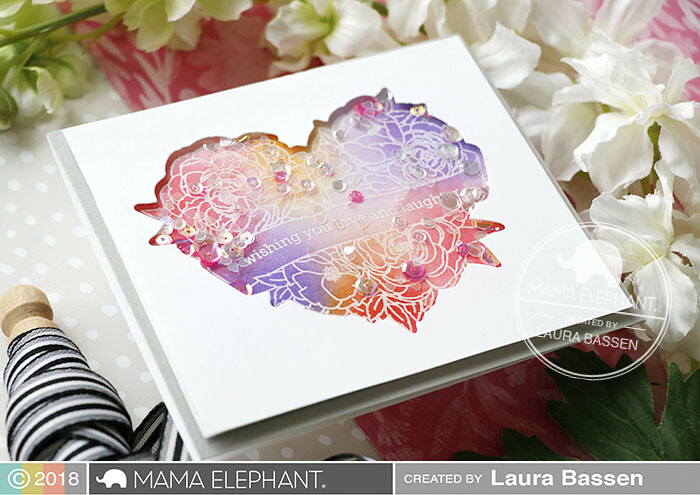 Gorgeous card and the color blending of the heart image is beautiful! I love the sweet surprise on the inside.